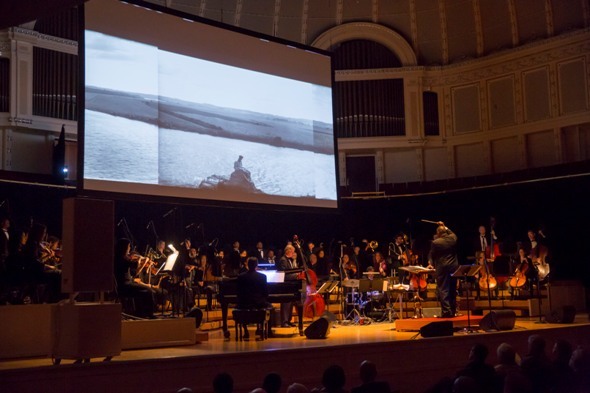 Review: Chicago Symphony Orchestra’s Rivers Festival offered the world premiere of “The Chicago River” by Orbert Davis, performed by the Chicago Jazz Philharmonic under Davis’ direction. 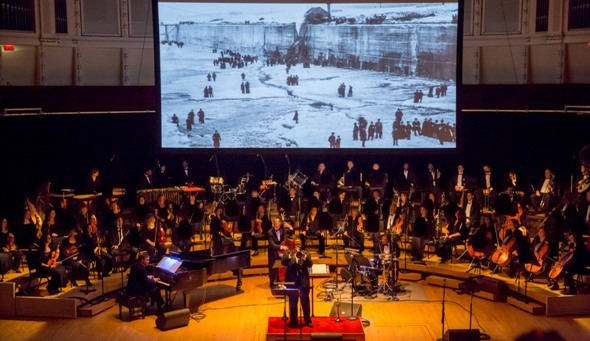 Each year in the late spring, the Chicago Symphony Orchestra embarks upon themed programs that seem to be as much about reaching deep into the community, and becoming energized by the community in turn, as they do about any particular theme itself. 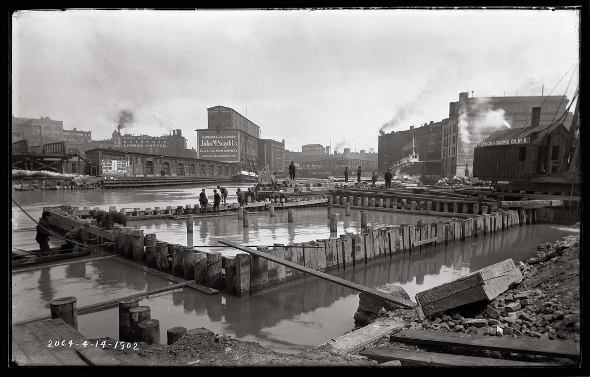 This year’s festival, called “Rivers,” underscores the notion that a cultural landscape is indeed much like a river — alive, ever present and ever changing, the whole of it fed, strengthened and dynamically affected by its essential tributaries. 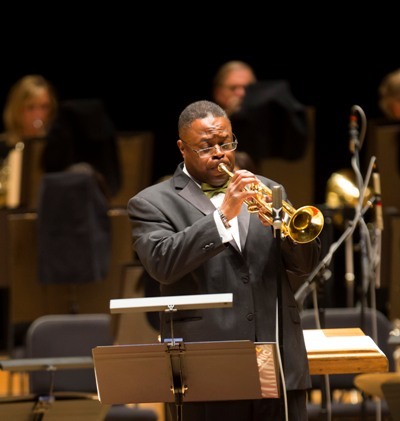 Orbert Davis, the Chicago-based jazz trumpeter, educator and composer long fascinated by the idea that a new aesthetic can result from the co-mingling of classical and jazz influences, has affected that flow in particular here in the Windy City. Davis’ 55-piece Chicago Jazz Philharmonic, comprised of musicians who play both jazz and classical music, has been a local fixture since 2004. An Emmy Award winning composer who describes himself as self-taught, Davis has received four major commissions in the past year, including “Home and Away,” a salute to the troops, with support from Boeing and the USO and wide exposure among home team fans of the Chicago Bears. 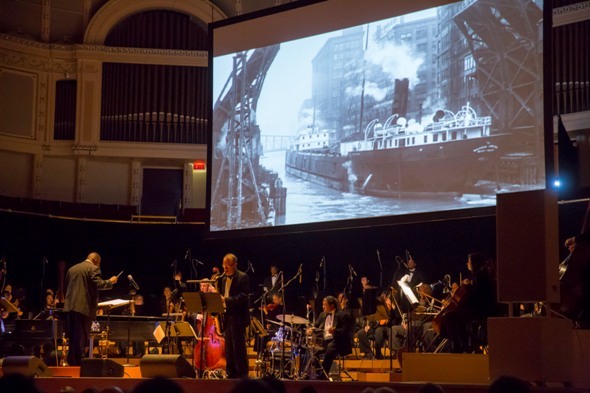 The Rivers Festival marked the world premiere May 24 of Davis’ “The Chicago River,” commissioned by Symphony Center Presents and performed with stunning projections of late-19th and early-20th century images of the Chicago River’s engineered reversal from the book that inspired him — “The Lost Panoramas: When Chicago Changed Its River and the Land Beyond” by Richard Cahan and Michael Williams. 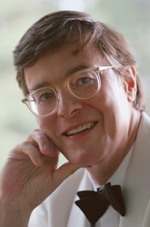 Davis’ five-movement work touched its most universal note in the fourth segment, called “Fortress of Solitude,” with the composer as authoritative soloist. It conveyed that sense of spiritual serenity on a warm summer day, when the quiet companionship of a river can calm an aspiring young soul at water’s edge, to dream of where he came from, where he’s going. As a composer Davis was inspired by Gunther Schuller, an influential artist who played French horn in the Metropolitan Opera and also performed with Miles Davis in the 1950s, and who went on to form the Modern Jazz Society with pianist John Lewis. Schuller coined a term, “third stream,” for the sort of music he began to compose, with a foot in both worlds. Schuller’s vision for a third stream, as a new and discrete musical entity, never fully materialized, although versatile artists like Davis keep the concept alive. When Duke Ellington’s 1960 jazz interpretation of Tchaikovsky’s “Nutcracker” ballet was performed by the Chicago Symphony Orchestra in 2001, Davis was among the performing guest artists. Still, it’s rare to find the performer who is truly at ease, and expert, in both fields. Meanwhile, jazz’s influence on classical, and classical’s on jazz, continues unabated. 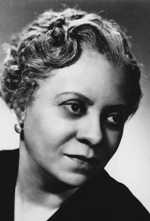 “Mississippi River” is a little-known tone poem of heartfelt expression by Florence Price, the pioneering African-American female classical composer, born in 1887, who spent much of her adult life in Chicago. In 1933 Frederick Stock conducted her first symphony as part of the Century of Progress World’s Fair. Had she been born today, Price’s talent might have been systematically nurtured; as it is, the lyrical romantic spirit and confident, long lines of her music are evidence of unmistakable talent. Price’s incorporation of the spiritual “Deep River,” done with elegance and no little hope, puts one in mind of Langston Hughes: “I heard the singing of the Mississippi when Abe Lincoln went down to New Orleans, and I’ve seen its muddy bosom turn all golden in the sunset.” The program was conducted beautifully earlier this month by Mei-Ann Chen; one also can hear Price’s 1933 symphony at an upcoming concert June 6 by the Northwestern University Chamber Orchestra. “riverrun” is a 1984 piano concerto by the Japanese composer Toru Takemitsu that has nothing to do with traditional romanticism and is more like experiencing the changing nature of water itself. To say that it’s a piano concerto fails to describe the effect, which is like sitting on a river bank and listening to the sounds washing around and through you. May 30-June 4: The CSO plays composer-in-residence Mason Bates’ 2007 “Liquid Interface,” inspired by Berlin’s Lake Wannsee, where Bates once lived: “Over the course of barely two months, I watched this huge body of water transform from an ice sheet thick enough to support sausage vendors, to a refreshing swimming destination heavy with humidity.” Jaap van Zweden conducts. 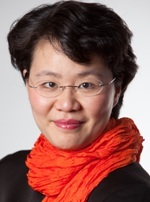 June 3: The CSO’s MusicNOW concert, at Harris Theater, will feature two electro-acoustic water pieces – Brazilian composer Marcos Balter’s “Live Water,” for viola and audio track with whispery special effects, and Finnish composer Kaija Saariaho’s “Trois Rivières,” which includes “Moonlit Night on the River,” a poem by the 8th century Chinese poet Li Po. 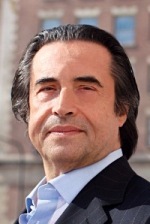 June 13-15: CSO Music director Riccardo Muti conducts Siegfried’s Rhine Journey and Funeral March from “Götterdämmerung” by Richard Wagner, in a program that also includes Beethoven and Bruckner. CSO Rivers Festival home page: Go to Rivers: Nature. Power. Culture.